Archbishop Dr Panti Filibus Musa, our current President, is Archbishop of the Lutheran Church of Christ in Nigeria. Panti Filibus Musa is an ordained pastor and theologian from The Lutheran Church of Christ (LCCN) in Nigeria who currently serves as the Archbishop of the LCCN. 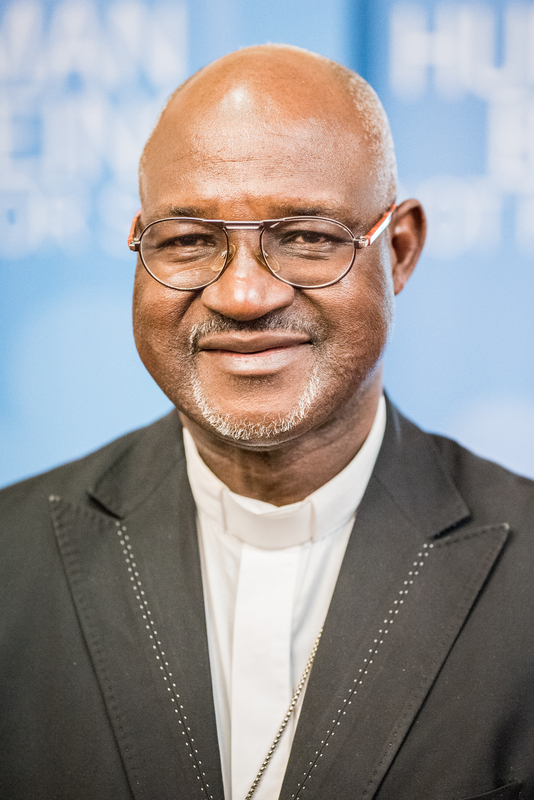 He has a broad range of experience with The Lutheran World Federation (LWF), having served in various positions between 2002 and 2013, including that of Deputy General Secretary. Musa is married to Ruth Musa, a pastor of the LCCN. They have three adult children and three grandchildren. He was elected by the LWF Twelfth Assembly at its May 2017 meeting in Windhoek, Namibia. He is the thirteenth person to serve in the position of president since LWF’s founding in 1947. The President is the presiding officer of the Assembly, the Council and the Executive Committee. He or she oversees LWF’s life and work in consultation with the General Secretary. The Assembly elects the President for a seven-year term of service.